This is a chronological account of what happened in 1947 when the Punjab Province of British India was partitioned. The Swedish Research Council awarded a very generous three-year research grant to enable me to carry out the investigation. 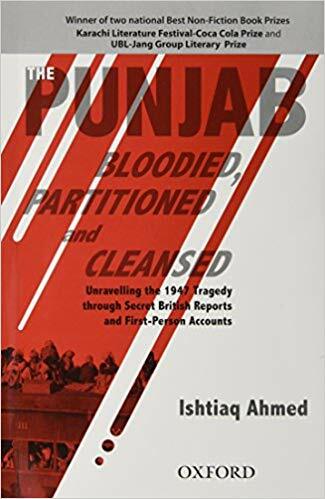 It is the only comprehensive and complete study of the partition process in the Punjab, beginning with the election campaign of 1945 and culminating in December 1947. It proceeds at two levels, secret British deliberations and decisions and the ground reality in the Punjab. Most time and effort has been devoted to tracing survivors and eyewitnesses from 1947. In some cases I have collected evidence of the same incident from the two opposing sides after 55-63 years. Such a work will never be possible later because the generation on whose testimony it is base will be gone. The partition of the Punjab resulted in the biggest forced migration in history-some 14 million people altogether of which 10 million were from the Punjab. It also resulted in the first major case of ethnic cleansing after the Second World War-on both sides of the divided Punjab unwanted minorities were driven away or killed. Some 500,000 to 800,000 people were killed. It is an unprecedented work and will most certainly become the standard reference on the partition of the Punjab.